Being a financial planner – Is consulting work suitable for you? I am not a financial planner but I work with financial planners day in and day out for the past 6 years. It’s a long story but the short version is this – I am a qualified engineer and after being in the engineering industry for more than 11 years, I got bored. I was then introduced to a managing director of a financial planning agency who was previously from a well-known bank in Singapore. He had offered me the opportunity to work with him to grow his team of financial planners. It took me awhile before I decided to join him in 2010 and as I write this, 6 years have passed. During this time, my primary role has been to interview, select and recruit people to be financial planners in this fast growing industry. Because of that, I get to see both sides of the story – how some people succeed as a financial planner and others don’t. As I’ve gotten more familiar with the profession, I’ve learnt to like and respect financial planners for the work they do. However, as a recruitment manager, one of my personal concerns is seeing candidates decide too quickly to commit before giving themselves time to explore if they are really suitable to be a good financial planner. A financial planner is a professional who prepares financial plans for people. While there are many technical terms to describe the financial planning work such as cash flow management, retirement planning, insurance planning and etc, the job is about covering all areas of the client’s financial needs. The work however, is not all about calculation and numbers. In fact, to be a good financial planner, communication skills are equally important. A heart to help people is also very important. Not only is the job meaningful, the opportunities for growth are also exciting. The big picture is quite clear – there are many economic opportunities in an affluent and aging population like we have here in Singapore. Wealth management and personal financial planning will continue to be an important service in the future to help people meet increasing healthcare needs and lifestyle expectations. In reality, people are so busy that they don’t have the time and the energy to study, read and learn all the things necessary to make good financial decisions. Hence, financial planners can value-add under such circumstances; by providing a trusted and professional opinion to help people in a very tangible way – to cover their financial needs. There are many places to work as a financial planner such as insurance companies and banks. Working as a financial planner representing a financial advisory firm is another option that is growing in popularity. While all these different “channels” have their unique advantages to help you get started quickly, the most important factor in determining whether you will do well is yourself. From my years of observation, graduates who joined the industry without any prior experiences, often succeed and do well as financial planners by possessing these 3 ingredients. It’s hard to describe exactly but I guess it is something that if you have this ingredient, you will immediately recognize what I meant. Good financial planners love to learn about money and make a lot of money but they never cross the line of having their passion become an obsession. It is easy for a financial planner to say that he or she always puts the interest of client first but like we like to say in GEN, this should not be a client pitch but a client creed. More importantly, only those who are actually interested to help people will stay long to serve and reward clients for their trust. The successful financial planners who I have observed, all have a strong belief in the importance of financial planning and sees financial planning as a way to help people. 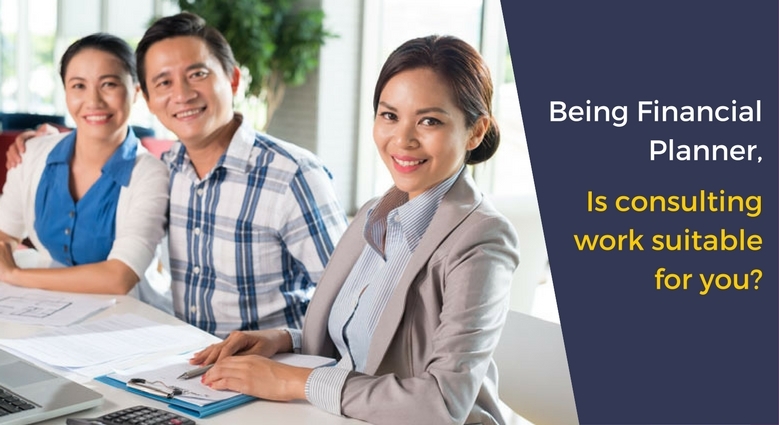 One common reason given by candidates during an interview about why they are considering to be a financial planner is that they do not want to have a desk-bound job. Some learn about this “weakness” during their internship while others learn about this when they started work. Either way, the experience of a structured day is something that is unbearable. Thus, the idea of a job where they can visit people, talk about dreams and aspirations and more importantly, being able to offer help in tangible ways by putting together and recommending financial solutions is something that appeals. The successful financial planners I know actually confess to being loving their work so much that they are unable to work in any other occupation. If you think you have the 3 ingredients I mentioned earlier, should you immediately put in applications to companies to interview for a position of being a financial planner? I hope not because that is like jumping into the pool without first testing the waters. To do well in a career, there are other factors that will play an important role besides your natural aptitude – factors such as company culture, good training support and having access to great mentors. 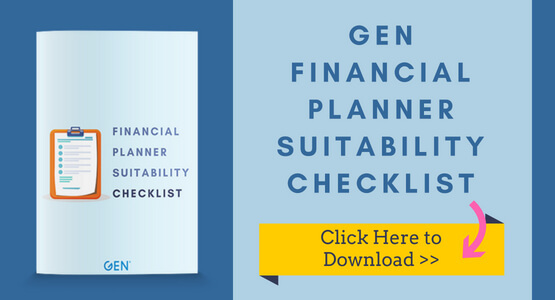 If you are keen to find out more about financial planning as a career, you can download this “Financial Planner suitability checklist” to find out if you are suitable to join us in this career. 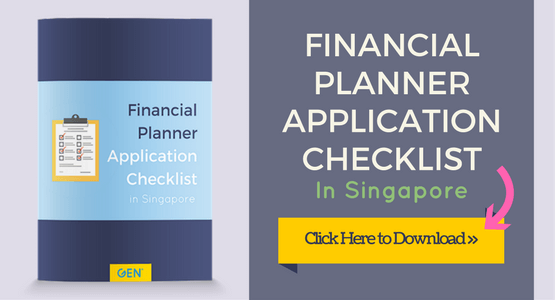 If you are immediately interested to take the next step, you can download this “Financial Planner Application Checklist” to find out the requirements (including financial) to be a financial planner in Singapore. Good luck searching and may you find a career that brings out the best in you! If you want to know more about GEN Sponsorship Programme or any career opportunity with GEN, you may contact me by filling up the form below and I will get back to you as soon as possible.